I Live In A Fictional World: Cover Reveals and TwiCon!!!! Are you an Evernight fan? 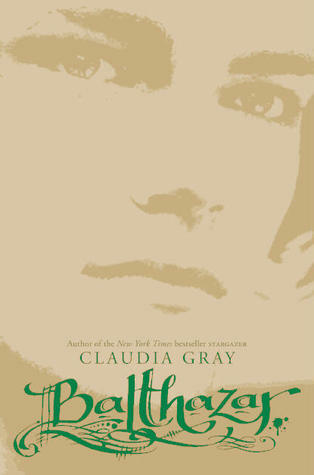 Well, Claudia Gray is giving us a spin-off series featuring one of the most favorable characters, Balthazar! I'm so excited about this because I never want the Evernight series to end! The downside to this release? It won't be released until March 6, 2012! So unfair! Now, I have to be honest. I'm not completely sure this is the final cover for the book because Gray's website has not been updated on this. The cover comes from Goodreads.com. If this is indeed the final cover, I LOVE it! It the same concept as the Evernight series and I just LOVE it! 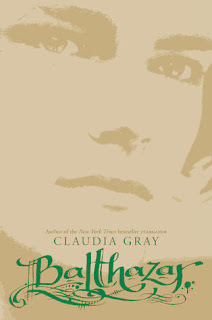 Want more from Claudia Gray? No, problem. You won't have to wait until next year for her next release. 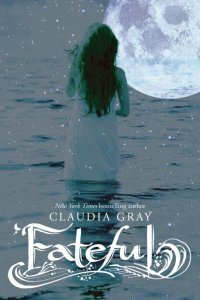 Fateful will be released September 13! A new series about a servant girl named Tess in 1912, who wants to escape from the house where she works, and most particularly the lecherous young lord of the manor. Click the link above for the complete synopsis. Another great series is Nightshade by Andrea Cremer and by now you might be aware that the second book in the series, Wolfsbane, was released July 12th. The next one is Bloodrose and will be released February 21, 2012. 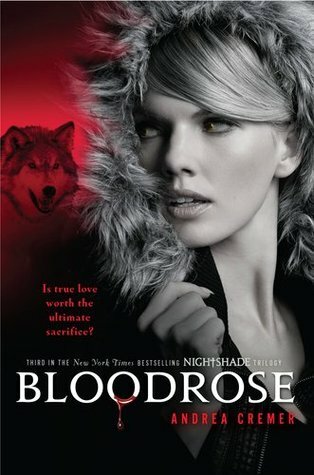 Even though I love this series, I am NOT a fan of the covers for Wolfsbane and Bloodrose. I wish they would have stayed with look of Nightshade, it is so much prettier. The other two are so drab and dull. What's your opinion? 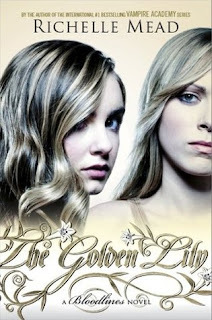 Here is a cover that doesn't disappoint - The Golden Lily by Richelle Mead - March 1, 2012. I haven't actually started this series yet but I look forward to it very much. This year, the Twilight Convention will be held in Parsippany, New Jersey from July 29-31! This is the best news I have ever heard! No, I do not live in New Jersey BUT I am only an hour or so away! Every other Twilight Convention have been held in states so far away from me, but now it is actually possible for me to go! It also happens to fall on my mothers birthday weekend and she is trying very hard to lay her heart-wrenching guilt-trips on me for wanting to go to TwiCon. The best part is that no matter how much she may want me to stay home and celebrate with her, she'd never make me miss an amazing opportunity like this! If she wasn't such a Twilight hater I'd take her with me, but I don't need an rain on this parade - lol. Special guest appearances include: Charlie Bewly, Demetri of the Volturi; Chaske Spencer, Sam of the Wolf Pack; Gil Birmingham, Billy Black; Julia Jones, Leah Clearwater and Booboo Stewart, Seth Clearwater of the Wolf Pack. Wait, there's more! Guri Weinberg, Stefan of the Romanian Coven; Bill Tangradi, Randall, a nomadic vampire; and Jodelle Ferland, Bree Tanner!!! There will be tons of fun things going on too, like best costume contests, best dancer contests, karaoke, a Volturi Vampire Ball, centerpiece contest, trivia games and so much more!!! Click here for way more information and a chance to buy tickets in advance! So jealous that you live close to the TwiCon!!! Lisa, I can hardly believe it's so close to me! I never thought the day would come!